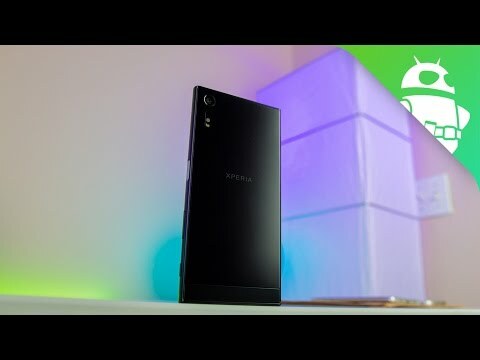 If you own Sony Xperia XZ 64GB, please do leave your feedback too. Lowest price of Sony Xperia XZ 64GB price in India starts at Rs. 30,999 Sony Xperia XZ 64GB is available on Flipkart at Rs. 30,999. Prices updated on 23rd April 2019. Sony Xperia XZ 64GB is a dual SIM device that was launched in September 2016. In-built Sony’s BRAVIA® TV technologies, metallic unibody, Style Cover Touch SCTF10, fingerprint scanner and water resistance, Hi-Res Audio and DNC support, triple image sensing technology, ALKALEIDO™ metal back panel, RGBC-IR sensor and Laser AF sensor are its major highlights. Sony Xperia XZ 64GB comes with 5.2 inch LCD touchscreen display with Corning Gorilla Glass 4 screen protector, 424PPI pixel density and 1920 x 1080 pixels resolution. It has a dimension of 146 x 72 x 8.1 mm and its weight is 161 grams. It is available in Platinum, Forest Blue and Mineral Black colour. Sony Xperia XZ 64GB is loaded with 2.1GHz Qualcomm Snapdragon 820 processor, 3GB RAM, Android 6.0 Marshmallow operating system and Adreno 530 graphics. This dual SIM device is loaded with 23MP rear and 13MP front camera with autofocus and LED flash. Other camera features include touch focus, 1/2.3 inch sensor size, geo-tagging, HDR, face detection, panorama. It offers the facility of 4K video recording at 2160p. It has an internal storage of 64GB that can be expanded up to 256GB with a micro SD card. This dual SIM device comes with 2900mAh non-removable Li-ion battery having the facility of rapid charging, Qnovo Adaptive Charging, STAMINA mode and battery care feature. Users can enjoy connectivity through 4G LTE (India Compatible), 3G, 2G, Wi-Fi, Bluetooth, NFC, VoLTE (Works with Jio) and Wi-Fi Calling. Sony Xperia XZ 64GB faces competition from Asus ZenFone 3 Deluxe (ZS570KL) and Apple iPhone 6s Plus. Both Asus ZenFone 3 Deluxe (ZS570KL) and Apple iPhone 6s Plus have bigger screen but poor front camera than Sony Xperia XZ 64GB.